One of the big question for many travelers is how to get the best conversion rate when converting to local currency. The following post will go over some useful information regarding exchanging currency, then tell you what is the best way to do it no matter where you travel. If you are already familar with currency exchanges, you can skip directly to the section “Best Debit Card to Withdraw with NO FEES” near the middle of this post. You can google [name of city] wiki travel to look this up. At many places, especially in third world countries, the US dollar is widely accepted so you may not have to convert any money at all. Every time you convert to a local currency, it costs money and you have to pay a lot of fees each time, so the goal is to only convert as needed and only as much as you need. Now, say that you do need local currency, what are the options on getting it? This option is a popular one for most people. The negative thing about this, is oftentimes you’ll get a very bad conversion rate. The goal is to look for a place to convert your money at a good rate. Before you go, make sure you look up on the current conversion rate by googling. Note that the rate you see on the internet, is the “best rate”, meaning it’s the rate that large banks get. When you convert your own money, you’ll get a very different rate that include extra fees that are tackled on. When looking for a place to convert, look at the signs in front of the store and see what the amount is, compare this to the “best rate” that you saw online before you left. Another key thing is to ask the store what is their service fees or percentage they will tackle on. Some places may display a great rate, but when you actually ask them to convert, they will add on an extra service fee that may be 10% extra. Some banks will allow you to “order” different currency and pick it up before you travel. Although there may be extra fees involved with this method. Check with your bank and see how much they charge and see if it make sense for you. For example, Wells Fargo offer this service, although we haven’t really tried it yet. This is probably the BEST way to get local currency. You can use most debit cards from around the world to withdraw money. 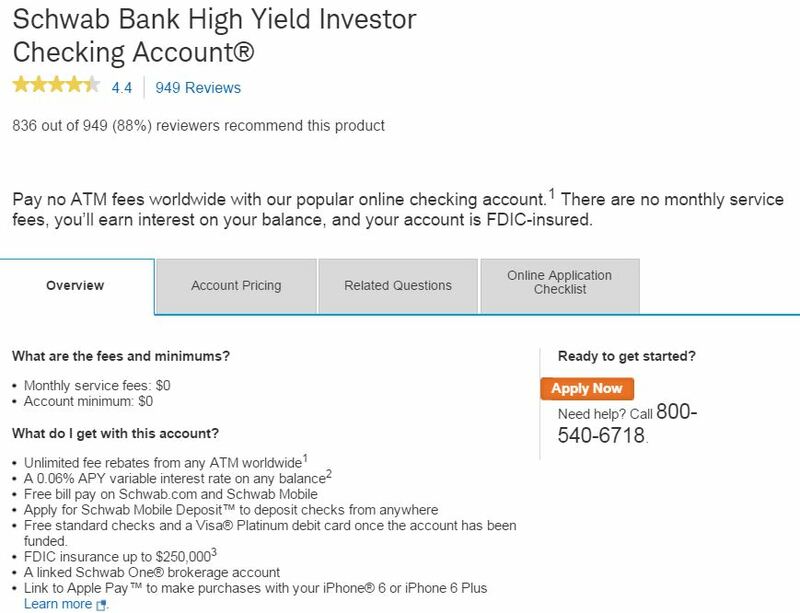 The rate you’ll get is normally very good, because in essence, your bank is actually doing the conversion for you, and the rate they get is always better than what you will get yourself at a conversion store. Plus best part is, you only withdraw what you think you will need, and if you need more, you can find another ATM inside the city to withdraw additional currency. It’s much easier to find an ATM (available 24 hours too!) than to find a place that converts currency inside the city. However, there is a catch, most banks will charge you an extra 3% and there will be ATM fees charged by your bank AND the bank that you withdraw money from. However, even with these extra costs, it is probably still better to withdraw from the ATM than to convert cash at a conversion store. Now, how do you minimize fees from withdrawing from the ATM? Most people don’t know this, but there are a few banks that will actually charge you no fees for withdrawing money from international ATMs. Some even reimburse your ATM fees! One of the best kept secret debit card, is from Charles Schwab bank. The Charles Schwab debit card charges NO FEES for ATM withdrawals from any ATM in the world. As long as it’s an ATM, they will let you withdraw for free. They will even reimburse you for any fees that those ATM charges you for using it. This is GREAT. Charles Schwab is actually a large bank and has excellent customer service, so this is not some small bank out in the middle of nowhere. 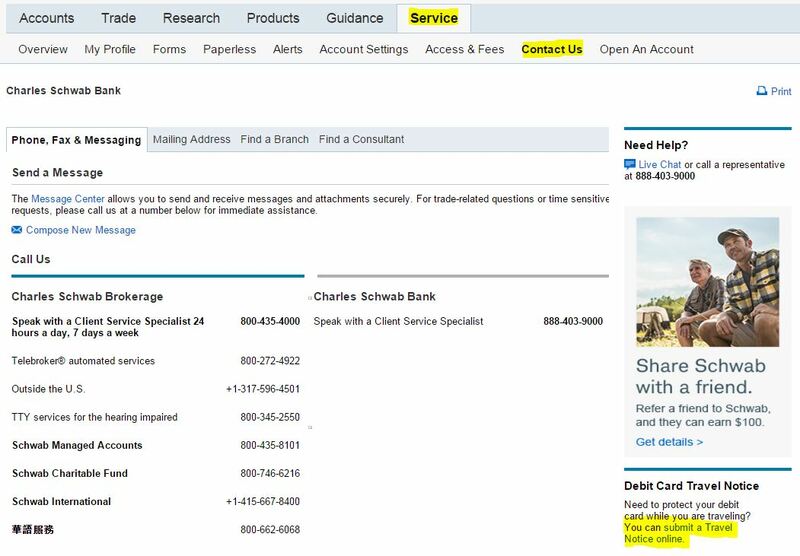 As there aren’t a lot of Charles Schwab branches around the country, you deposit money into the account by doing an electronic online transfer from your current bank (free). You can then use their debit card to withdraw money from any ATM, including ATMs from other banks in the US and around the world. Ever since we got the Charles Schwab account, we never have to worry about finding a place to convert currency, finding best rates, or worrying about being ripped off (in Venice, Italy, we got charged a 30% conversion fee!) We would just land at the airport, look for an ATM, put in our card, then withdraw money knowing we got the best rate possible, with no fees whatsoever. 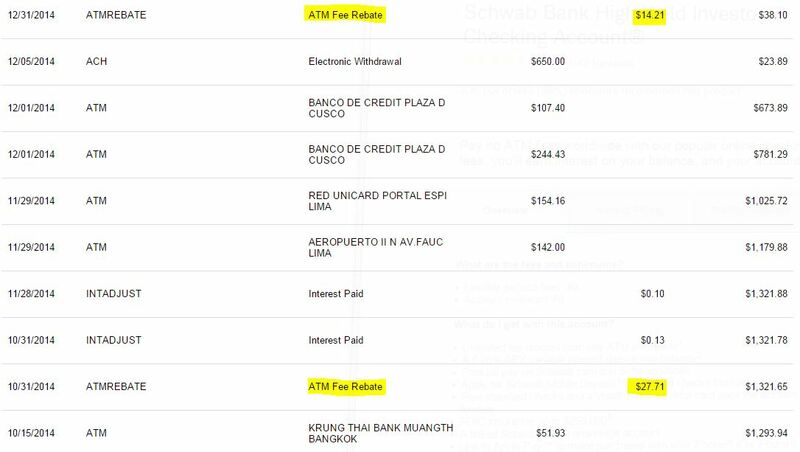 Charles Schwab reimburse all fees charged by any ATM. You can see we got reimbursed $27.71 and $14.21 in fees, NICE! The Charles Schwab checking account also has NO monthly fees and NO minimum balance requirements. There is no “catch”. However, when you sign up, you must sign up for both the Investor Checking and Brokerage account. For those that don’t know, the Brokerage account is used for investment if you want to buy stocks and such. However, you do not actually need to use that account or put any money in it. Our account is at zero balance right now and it’s fine. You just need to sign up for both accounts, then deposit money in the Investor Checking account, and that is all you need. It is still a checking account, and you are not putting money in stocks or anything. After that, when traveling, bring that debit card with you and withdraw money from it. That is all to it! Charles Schwab also has excellent customer service so I highly recommend them. On a side note, for the account which you will withdraw money from at international ATMs, we don’t recommend you put in too much money in there. We normally just have around a thousand dollars in there. In case you lose your card or something, you don’t have to worry about losing too much money. However, with fraud protection services from Charles Schwab, you will be fine either way. One last tip. Always bring a backup card for withdrawing money. Sometimes, there might be a small chance that the Charles Schwab card (or any debit card really) might get declined at an ATM. It’s good to have another backup debit card just in case, so you have different ways of withdrawing money. We also always carry around $200 USD in cash with us, in case we cannot withdraw, then we can at least convert our money to local currency and have enough to take a taxi to our hotel. That way you don’t get stuck without any money at all.